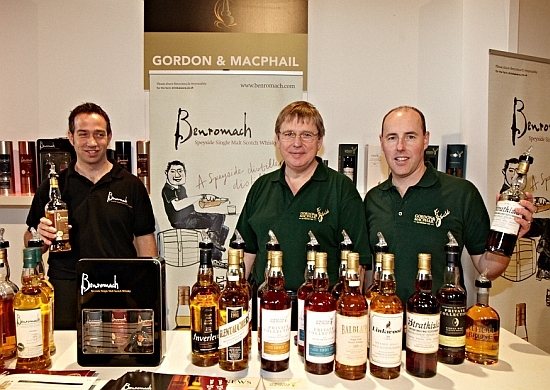 Our opening tasting of the second day of The Whisky Exchange Whisky Show was a bit different to the others. Firstly it was a sequel, following up from last year’s incredible Gordon & Macphail Timeline class, and secondly it was the end of an era – David Urquhart, presenting the class, has retired and popped in for one last masterclass. The intention of the class was to jump back over the last six decades trying whiskies that had been produced in the 40 years that David has been at the company, as well as in the couple of decades before he joined the business. The tasting was also being held for charity – the proceeds of the class have been split between Prostate Cancer UK and the Prostate Targeted Therapy Group of The Royal Marsden, a total of £1862. 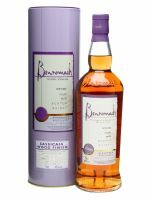 We started with a Benromach 2005, produced at Gordon & Macphail’s own distillery. While the distillery was founded back in 1898 it was closed in 1983 and G&M resurrected it in 1998 after a large amount of rebuilding. 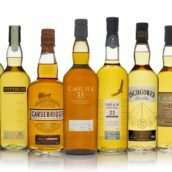 Since then they’ve been releasing regular new bottlings from the time of their stewardship as well as some older whiskies from the warehouses and their own stocks that they’d acquired prior to buying the distillery. 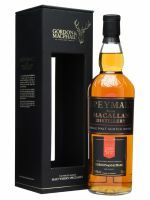 This bottling has been finished in Sassicaia casks, obtained thanks to the company’s connections in the wine trade – G&M aren’t just a whisky company, with their origins as a grocer leading to them having interests in many different parts of the food and drink trade. 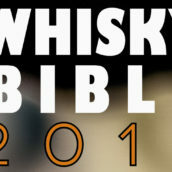 Colour: I don’t normally mention colour but this time it’s quite a noticeable thing – the whisky is pink. Not a vibrant hot pink, but it definitely has a reddish tinge. Nose: Clean young spirit with a hit of fresh raspberries, single cream, bracken smoke and a touch of grappa. Palate: Soft and grainy with caraway, buttery cream, blackcurrant jam and toast. Finish: Sweet berries (quite jammy) and tingly grain. Comment: A young whisky with the harsher edges of new spirit rubbed off and a chunk of fruity flavour added from the wine cask. 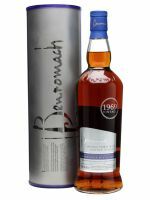 We then stepped back to the 1990s with a Connoisseurs Choice Pittyvaich 1993. The distillery is one of the shorter lived producers in Scotland, closing in 1993 after only 18 years of production. It’s now been demolished and their legacy sits mainly in the hands of independents like Gordon & Macphail as owners Diageo haven’t produced many expressions. Nose: Sweet apple, grain, cream, hints of sultanas and spice and a meaty edge. Palate: Soft and creamy with sour grapes, tannic edges, vanilla cream and some spice. It’s a bit spicy at full strength and a drop of water softened things out and brought even more creaminess. Finish: More cream, a continuing theme, raisins and woody spice. 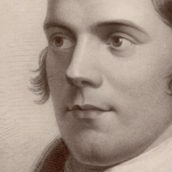 Comment: A surprisingly flavoursome dram, with some soft sherry tones and lots of cream, showing yet again that assuming colour and flavour are always connected is often a mistake. Nose: Putty, grape jam, vanilla cream, sultanas, sweet liquorice and floral hints. Palate: Sour fruit, demerera sugar, cloves, woody spices, sweet jammy fruit, spiced cream, Seville orange and a tingle of cinnamon. Finish: Dark chocolate, light raisins and some linger spice. We then went back to the 1970s, the decade when David started at Gordon & Macphail, choosing the family business over his burgeoning reputation as a sailor. The whisky was a soon-to-be-released Private Collection Tomintoul 1972, distilled in the year that David joined the company. 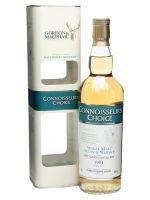 Gordon & Macphail were quite a different company back when this whisky was distilled, still with a large focus on their grocery business rather than their current incarnation as a wine and spirits seller. Whisky was still bottled in the basement of the shop and David told us tales of carrying crates of bottles up and down the stairs all day. Nose: Glue, brown sugar, sugared raisins, cinnamon, vanilla and sweet red fruit. Palate: Creamy with a herbal edge of pine, flowers and plant stems, wood polish, lemon sherbert, syrup and sweet melon. A drop of water brought out even more fruit, with melon skin, papaya and unripe mango. Finish: Green herbs and sweet wood. 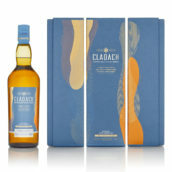 Comment: A complex dram with both savoury herbal notes and sweet fruit. Water was a must, with layers of extra fruitiness appearing – very much to my tastes. Nose: Polished wood, raisins, sultanas, cinnamon, balsamic vinegar, speculoos biscuits, fennel, dark chocolate, plums, rich earth and a hint of gravel. Palate: Waxy with soft fruitiness, sweet apples, woody spice, more dark chocolate, black pepper and a hint of sulphur and smoke. Water brings out creaminess, milk chocolate and more fruit. Finish: Good old wood, woody spice and fennel. Comment: An elegant old sherried dram, restrained in its raisiny flavours and packed full of fresh fruit and spice. 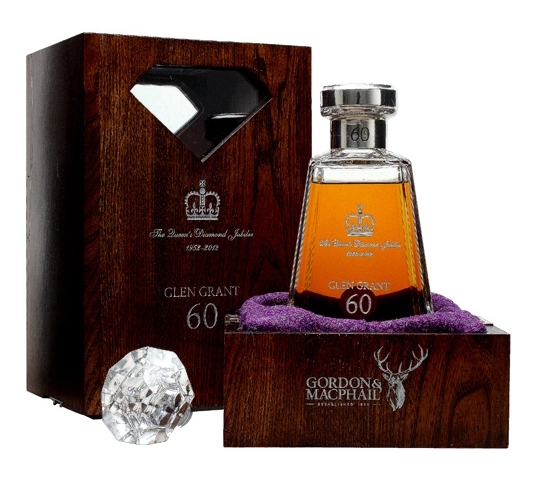 The final whisky of the tasting was one of the Gordon & Macphail’s recent showcase releases – Glen Grant 1952. At 60 years old, it’s not the oldest whisky they’ve ever released (that honour goes to the Mortlach and Glenlivet 70 year olds, the latter of which we tried last year) but it does have a reason for being that age. This whisky was distilled on February 2nd 1952, 4 days before the Queen Elizabeth II’s Coronation and the cask was emptied on February 2nd 2012 in celebration of her Diamond Jubilee. It was matured in cask #465, a sweet oloroso sherry hogshead and after 60 years in wood a total of 85 bottles of whisky were drawn and bottled. However, it’s no ordinary bottle – it’s a crystal decanter crafted by Glencairn, inlaid with silver and topped with a Swarovski crystal decorated crown, a silver collar and both a silver and a diamond shaped crystal stopper. To add even more bling to the release it’s presented in a handmade wooden box, lined with purple Harris Tweed, wrapped up in a bag of the same material and completed by a gilt edged certificate of authenticity. Nose: Sweet orange, herbal notes, clove-studded orange peel, wax furniture polish, crushed green leaves and grass, fresh cut sawdust, incense and sandalwood. Palate: Soft and sweet with light smoke, hints of floral soap and a lingering herbal edge. Finish: Toffee, cinnamon and spicy clove. Comment: An impressive dram with a balance of old wood and surprisingly fresh grassy and leafy notes. Quite savoury but with a lingering sweet finish. A once in a lifetime chance to try a very limited whisky and a great retirement tasting for David Urquhart. Having seen him working on the Gordon & Macphail stand over the weekend we expect that they’ll have a hard job keeping him from doing more, but we still wish him all the best in his well-earned retirement.